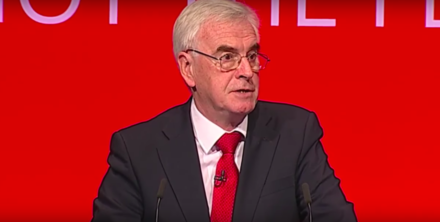 John McDonnell has accused the Tory government of “putting the public in danger” in pursuit of an ideological belief in privatisation. The Shadow Chancellor has called on the government to immediately halt all further outsourcing of government contracts and privatisations until an investigation takes place into why they are failing so badly. McDonnell’s intervention follows the government’s emergency takeover of HMP Birmingham. The prison, which was being run by G4S until yesterday, was found to have fallen into a “state of crisis” by prison inspectors. Speaking on Radio 4’s Today programme, Clarke described the prison environment as unstable and rife with violence and drug use. “This is only jail, and I’ve visited many jails now, where I personally was forced to leave a wing because of the effect the drugs were having on me,” he said. Richard Burgon, the Shadow Justice Secretary, has joined McDonnell in condemning the running of HMP Birmingham. Burgon has called on the government to launch an inquiry into all current private justice contracts, to announce a moratorium on all further privatisation and to exclude G4S from any further justice contracts. Responding to the news that the prison has been brought back under public management, Burgon said: “This shocking situation underlines the dangerous consequences of the ever greater privatisation of our justice system. “HMP Birmingham was the first publicly-run prison to be transferred to the private sector. This should be a nail in the coffin for the flawed idea of prison privatisation. The government must scrap its recently announced plans to build yet more private prisons.